Hypothyroidism is a condition that occurs when the thyroid gland is unable to produce enough thyroid hormone. When this happens, your body converts energy at a decreased rate. If you suffer from hypothyroidism, you may experience symptoms of fatigue and poor concentration and you will likely have sleep issues and weight gain. These symptoms are frequently seen in people with depression. Typically when you are diagnosed with depression, a connection with your thyroid is not even considered. 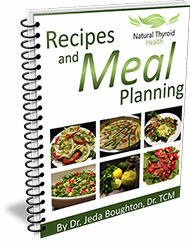 This results in a large number of hypothyroidism cases going undiagnosed or misdiagnosed. If you are feeling depressed, it’s likely that your thyroid function is involved. There are a variety of other symptoms that you may experience if you have hypothyroidism, including tingling in your hands and feet, constipation, body aches and joint pain, sensitivity to cold, brittle nails and hair, dry skin, hoarseness and possibly swelling in your neck due to an enlarged thyroid gland. 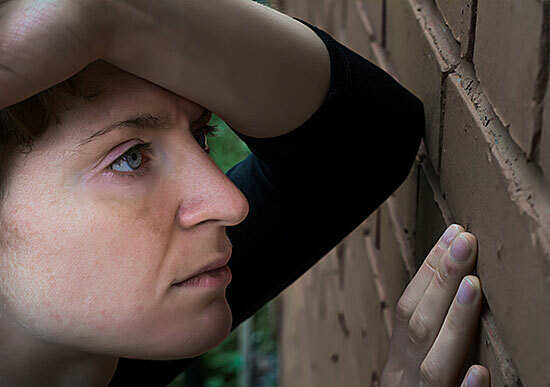 Having to go about your day while managing these symptoms can certainly make you feel depressed, but the connection may be more significant than you think. Many things happen when you have low thyroid function. One common problem is difficulty absorbing the essential nutrients from your food. Malabsorption of important nutrients leads to deficiencies, which results in poor energy to your body’s cells, including your brain cells. It is no surprise that people with low thyroid often experience poor memory and focus because the brain is not getting the proper fuel that it needs to function optimally. Mood changes, including depression, can occur due to this effect of low thyroid on your brain. Studies have shown that the majority of people diagnosed with depression have low thyroid function. In cases where thyroid hormones were given instead of antidepressant medication, the thyroid medication proved more effective in controlling depressive symptoms. This is important information to discuss with your doctor if you are having symptoms of depression and have not had the possibility of a low thyroid condition ruled out. A simple blood test of your thyroid stimulating hormone (TSH), is not enough to rule out a thyroid imbalance. However, your doctor can determine if you have hypothyroidism by assessing your signs and symptoms. You may also have a blood test to measure your level of thyroid hormones, triiodothyronine (T3) and thyroxin (T4), yet these should not be relied on in isolation. Based on the results of an assessment, you may be prescribed thyroid hormone medication, supplements, diet and lifestyle modifications. When your health improves and your thyroid function becomes regulated, your symptoms should diminish, including depression.